Such a cutie this 50s Free Birdie Necklace! 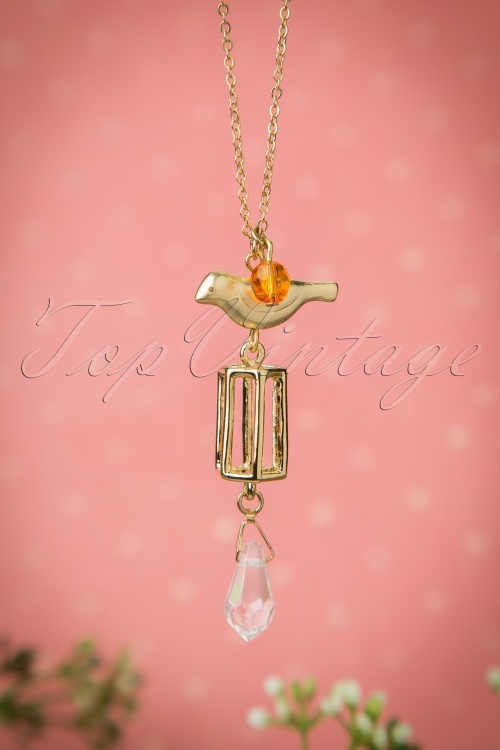 The bird has flown, but luckily not far because he's right on top of his cage so he can be closer to you ;-) This long necklace is made from gold toned metal with 2 sparkly rhinestones. 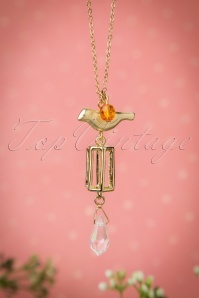 Hang birdie around your neck and enjoy life together! Ein tolles Outfit für eine Veranstaltung mit Ladies and Gentlemen nach dem Motto "dapper"!